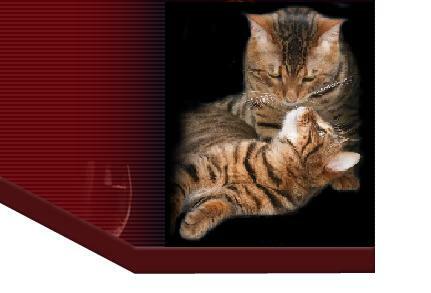 This is my site, dedicated to the Bengal cat breed. On this page, you will be able to find information/history/cats up for adoption and much more! I love these beautiful felines and so will you! My contact information is available above, so feel free to contact me any time with questions you may have concerning the breed. Enjoy the page and tell your friends! *The 3 bengals above show a few of the different color options available. Top being standard, second being the snow bengal, and the third representing the beautiful marble patterned snow bengal.